The one thing that people find even more important than views is conversion. Even if you have the most beautiful website in the world, it’s possible that you don’t sell as much as another, less attractive website. Your conversion rates are lower and most of the times, low conversion means low income! But luckily, there is something as ‘conversion optimization’. With these tactics, you’ll be able to create an unique customerexperience and you’ll be able to make customers out of your new viewers! 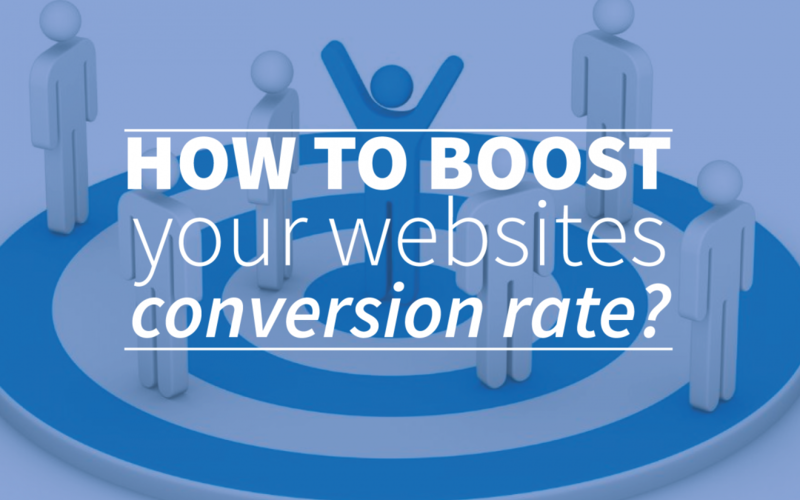 What is conversion and how to effect the conversion rate? As you can see, all these different kind of reactions are conversion. That’s why we would say that our definition of conversion is; ‘The desired action that people take on your website, which leads to benefit for the owner of the website’. But how do you effect this conversion rate? Conversion improvement is not only about the website or webshop. It’s a great misunderstanding that conversion is just about the color or placement of your call-to-action-buttons, structure of your pages and the general design. If you want to improve you conversion rates, you should dig deeper into your purpose, company and all the elements that you combine to reach your customers. For example, you should look at; competition, buying motives, focus, your unique elements, the target audience, segmentation, strategy etc. If you get these elements straight, it’s just a matter of time for your conversion rate to increase! It’s very important that you connect with your target audience in design and language. Don’t say; “Welcome to our website”, but write in an active way directly to your target audience. “Are you having trouble with folding papers? That’s why we’re here!”. Also in your design, you have to make sure that you know who your target audience is and what they like! A lot of websites and webshops just communicate about what they’re selling. “We’re selling fast lawnmowers for the lowest price!”. But they forget that all of their visitors through Google will just look at your website few seconds (the average is only 7 seconds for the first website) and then they’ll decide whether this site is interesting for them or not. This is why you should make clear to your visitors, in just a few seconds, why he or she should order something or ask for information. The best way to do this is to put your most imporant USP’s (max. 4) in a prominent place in your website, like your header or clearly on your landing page. The starting-point of these USP’s is that they should be unique and describe your value. This way, your customers will understand why they should choose you to fulfill their needs, whatever those needs are. Also your proposition should be totally clear in just a few moments, this way people know what you’ll be able to provide them. Nobody likes to read loads of text and in these 7 seconds that your viewers deside whether they are going to stay on your website or not, it’s not smart to expose them to too much information. These loads of text might be important but only if they can see the value of them, they will stay and read them. That’s why it’s very important to make your pages scannable. A good structure is very important and after this you can think about deepening. We already told you that your design should be something what your target audience likes, but we want to say it again; don’t underestimate the power of design! It’s very important that you take your time to make your design perfect, because your design is the way to make your first impression. Choose the right colors, logo, pictures and design elements and you’ll be rewarded! If you can’t generate sales out of the first visit of your viewers, then you should try your best to offer a way to connect that feels more accesable to them. For example, if you sell boats, it’s not that easy to convince your viewers to buy a boat right away. That’s why you should offer other things like; a subscription to your newsletter, connection on Facebook or a quote request. This way you’ll be able to connect with your first time viewers and you through these channels, you can remind them of your services! Not every viewer has the intention to buy something or to get in action and our tip to get the highest conversion is; you should always focus on viewers that are valuable to you! Of course, you need to push some of your viewers to do what you want them to do, but not everyone is convincable. If you’ve got someone that just want to give negative comments on everything you do, you shouldn’t put too much effort in this person. Of course, it’s important that you be kind and aswer to them, but don’t take too much time to try to let them buy something, while you actually now that that’s not going to happen! You should put more time in people that need to be pushed just a little bit in the right direction, because that’s where your conversion comes from. Most of the websites we know have a quite boring navigation. Pages like ‘Home’, ‘Contact’, ‘Trial’, ‘Products’ and ‘Pricing’ are pages that you can find in almost every navigation. But what if you give your navigation a little upgrade? For example, why not change ‘Trial’ to ‘Unique try-out’ or ‘Products’ could be something like ‘Benefits’. This way it can be way more interesting to look around on your website. But don’t exaggerate! It’s important that your navigation is still clear for people to know what they want to find. With these 7 tips you’ll be able to boost your conversion rate to the highest levels, so why not start today? With the free trial of webtexttool you’ll be able to rank higher, to get even better results. If you have some tips for higher conversion of your own, please let us know through our social media channels or the support form!